Eswatini, formerly known as Swaziland, is a small landlocked country in southern Africa best known for its wilderness reserves and many festivals demonstrating authentic Eswatini culture. 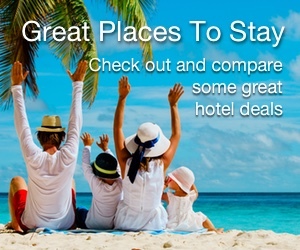 When it comes to accommodation, there is no need to rough it as the country is home to many up-market hotels. 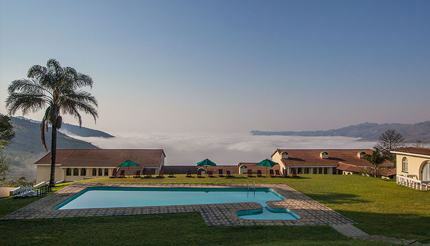 Here are the top five luxury places to stay in Eswatini. 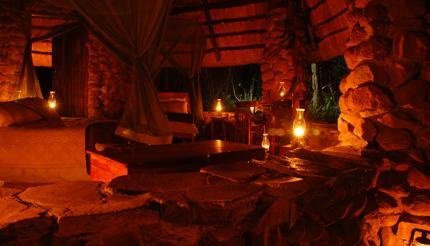 Just 20km (12 miles) away from the Makhonjwa Nature Reserve in north-western Eswatini, this lodge by a waterfall gives you a real taste of traditional Swazi life but with all the mod cons you’d expect from a luxury accommodation. You can choose to stay in one of three accommodation types: modern cottages, luxury safari tents or attractive beehive huts. The beehive huts are especially impressive. 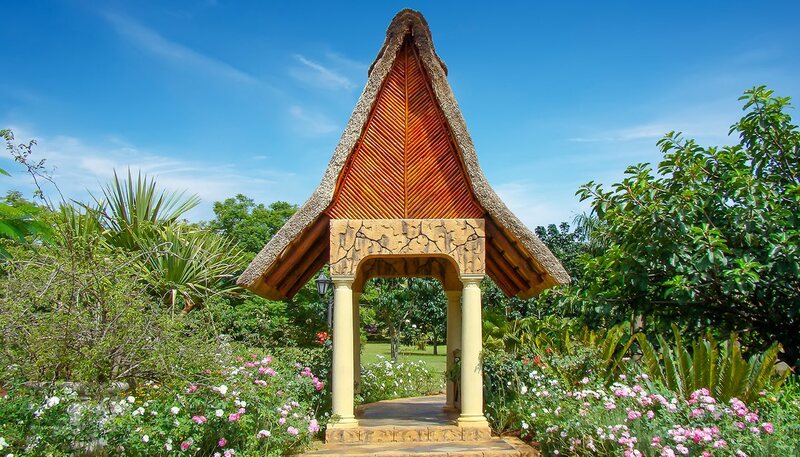 Built in the traditional way with a wooden structure and thatching, the hut itself is bigger than it looks from the outside, with space for a king-sized bed and soft comfort sheets. Wood and wicker are the theme here: all the furniture and doors are made from local natural materials, and there’s a large stone tiled shower that wouldn’t look out of place in a 5-star hotel. Choose a hut that overlooks the valley to enjoy spectacular sunrise every morning, and a chance to greet adorable vervet monkeys as they wake up and scramble about for breakfast. Other key features include secluded viewing decks, natural rock pools and a beautiful swimming pool at the top of the falls. If waking up to beautiful views of fresh vegetation and splendid blooming flowers are your thing, then Summerfield is the place for you. You can choose to stay in a luxury room, an executive suite or a garden villa. 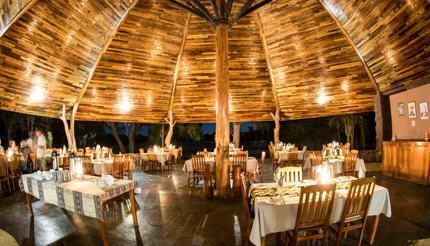 The hotel is in Matsapha, near to Dzulwini Craft Market and Mlilwane Wildlife Sanctuary. All its 34 units are set within lush and landscaped gardens, and each one is lavishly furnished to the highest standard. Full daily breakfast is included, and you can also choose to enjoy lunch and dinner at the Palm Cascades Restaurant with the menu featuring the best seasonal ingredients from the vegetable and herb gardens onsite, plus free-range livestock from local farmers. For something a bit different, but still extremely luxurious, the exclusive Stone Camp set in the heart of the Mkhaya Game Reserve is a diamond in the rough. Stone Camp, as the name suggests, is built with large brown stones. Set along a dry riverbed, the site has 12 rooms and each unit can accommodate two to six people. As the site has no electricity, each room is lit with romantic gas lamps at night. After a restful night of sleep, you wake up to a breakfast prepared in traditional Swazi style over open fires, before going on your sunrise safari. All tours within the reserve are guided by open Land Rovers or on foot, giving you a chance to spot wildlife residing in the reserve. Mbabane is the capital city of Eswatini and about 15km (9 miles) away from Lobamba, the country’s main cultural hotspot and the seat of Eswatini’s monarchy and parliament. As Lobamba doesn’t have accommodations available to visitors, those who want to attend colourful Swazi festivals in Lobamba tend to stay over in Mbabane and the luxury Mountain Inn is a wise choice. Perched on a hill, this 52-room hotel overlooks the Ezulwini Valley and has all the touches of comfort. Each room has an air-conditioning unit, a television with satellite programs and Wi-Fi access to keep you connected. A full complimentary breakfast is included. Other services include a laundry service, a childcare facility and airport transfer. No trip to Eswatini is complete without a visit to Hlane Royal National Park, the country’s largest protected park and home to lions, elephants, giraffes, wildebeests, zebras and the very rare white rhinoceros, among others. Hlane is best for self-drive safari. 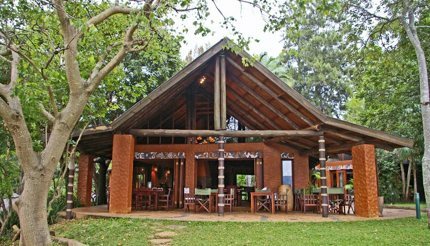 Ndlovu Camp in Hlane is the main camp within the park and offers the largest accommodation options, from self-catering cottages to en-suite rooms. The self-catering cottages are particularly popular. 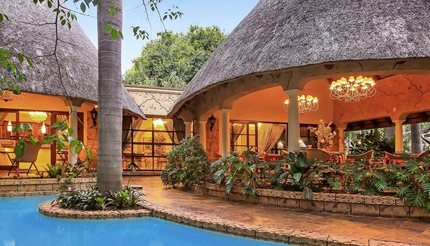 Lovingly built and featuring a thatched roof, each cottage is well-equipped with a kitchen (with a gas stove & a gas fridge) and a private braai (BBQ) area. If you choose not to cook, there is an onsite restaurant offering breakfast, lunch and dinner every day.